Are you planning a holiday party? Don’t get overwhelmed by the process. 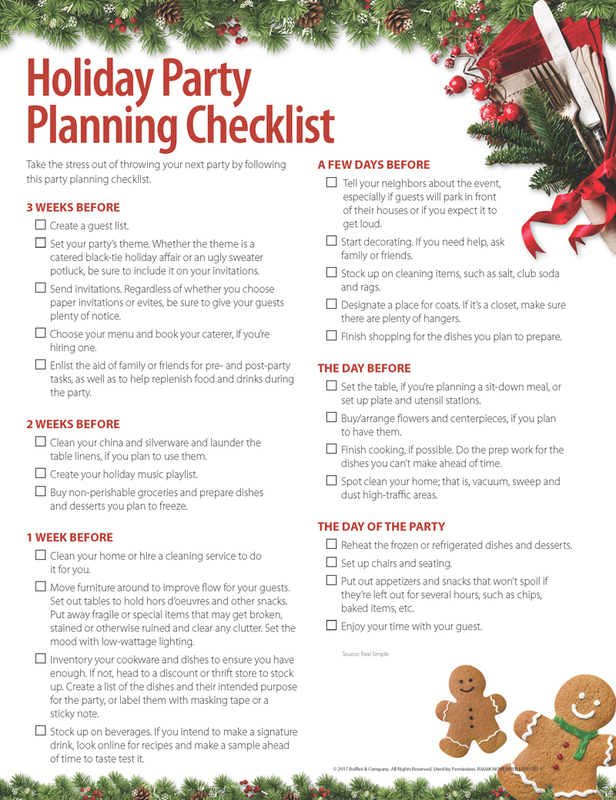 Below is a checklist to help you plan a fun and festive gathering. Follow it exactly, or adjust it to your needs. By the time the party starts, you’ll be ready to enjoy it with your guests!